Maybe it’s to do with the change in light, or the longer evenings, but I seem to have spent a lot of time pulling boxes out of shelves and blowing dust around the room. An early intimation of spring cleaning, perhaps? Among the things I found were a German autoharp, in very poor condition, and a couple of tiny music boxes that I bought in Paris a long, long time ago. I have built a couple of Kontakt instruments from them. 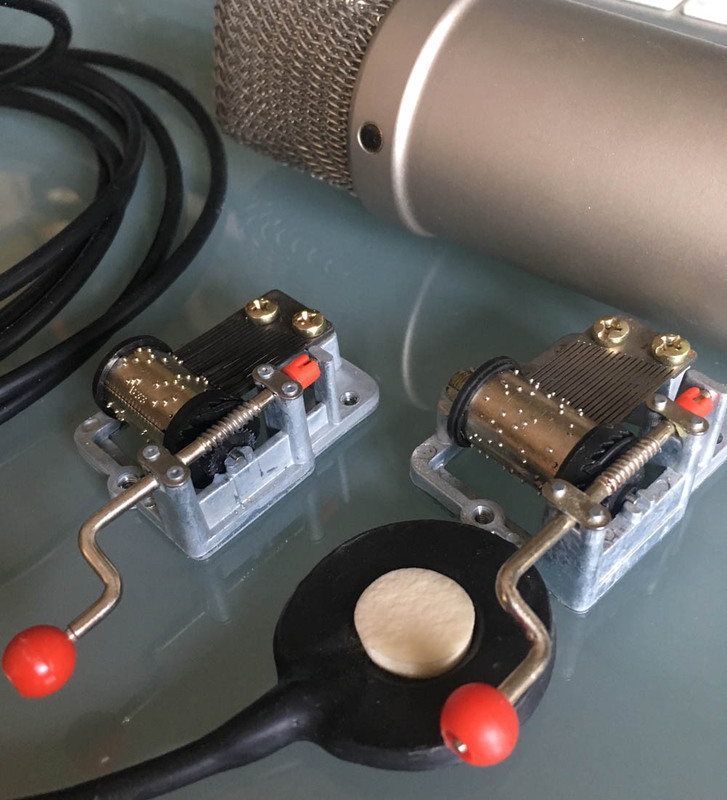 I used an acoustic guitar as a resonator for the music boxes and simply turned the handle slowly enough to capture a full release on each note. 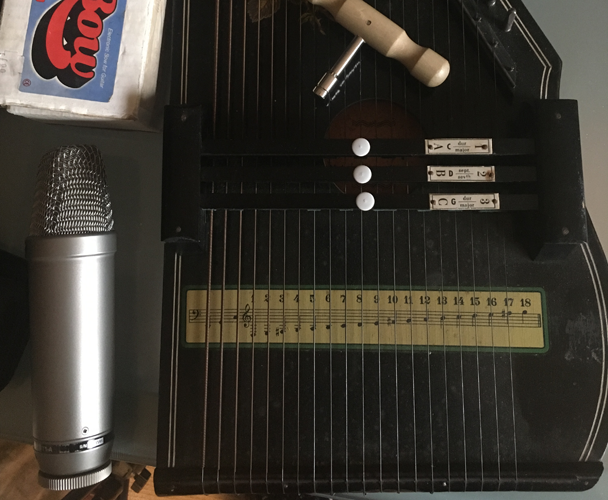 The autoharp took a little more work – including tuning up in Melodyne. I also made a special left hand mapping for the fantastic string buzzing that happened when the eBow got too close and touched the strings. They sounded so good that I added them as additional velocity layers on only a few of the notes. This keeps it nice and random, and vaguely chaotic. Just like playing the real thing. In as much as it is easy to hear the broken parts and the poor construction these little explorations could be said to be full of character. I think they’re beautiful – especially, and most surprisingly, when played together as a multi.